(FORTALEZA, June 24, 2014 (Xinhua) -- Greece's fans kiss prior to a Group C match between Greece and Cote d'Ivoire of 2014 FIFA World Cup at the Estadio Castelao Stadium in Fortaleza, Brazil, June 24, 2014. 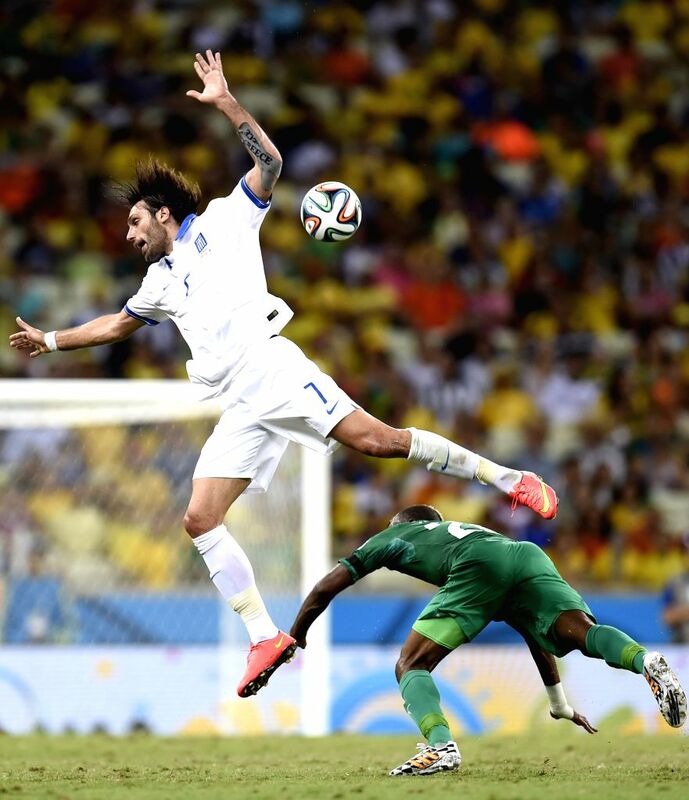 (FORTALEZA, June 24, 2014 (Xinhua) -- Greece's Giorgios Samaras (L) vies with Cote d'Ivoire's Geoffroy Serey Die during a Group C match between Greece and Cote d'Ivoire of 2014 FIFA World Cup at the Estadio Castelao Stadium in Fortaleza, Brazil, June 24, 2014. (FORTALEZA, June 24, 2014 (Xinhua) -- Cote d'Ivoire's goalkeeper Boubacar Barry (1st R, top) blocks the ball during a Group C match between Greece and Cote d'Ivoire of 2014 FIFA World Cup at the Estadio Castelao Stadium in Fortaleza, Brazil, June 24, 2014. (FORTALEZA, June 24, 2014 (Xinhua) -- Greece's celebrate after winning a Group C match between Greece and Cote d'Ivoire of 2014 FIFA World Cup at the Estadio Castelao Stadium in Fortaleza, Brazil, June 24, 2014. 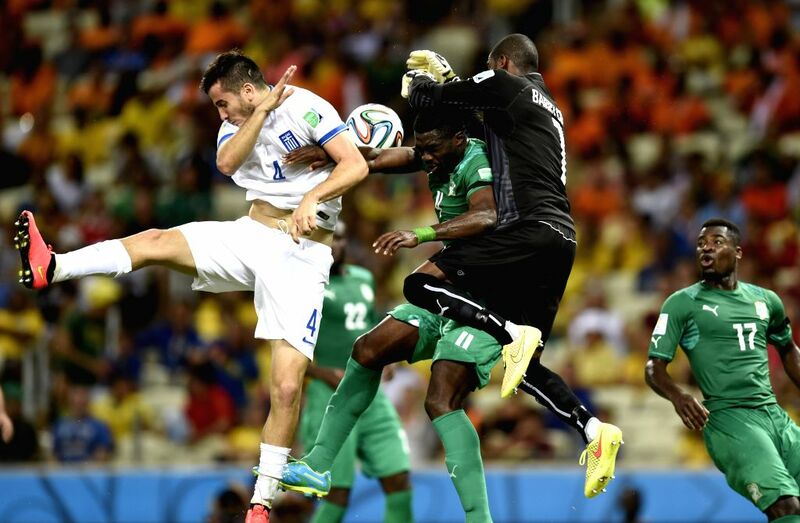 Greece won 2-1 over Cote d'Ivoire on Tuesday. 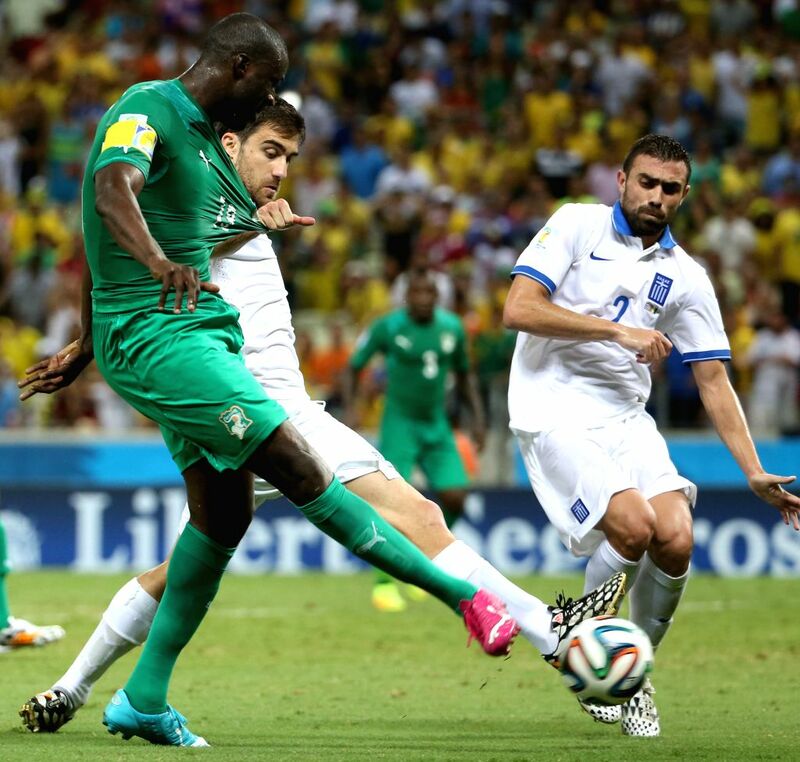 (FORTALEZA, June 24, 2014 (Xinhua) -- Cote d'Ivoire's Yaya Toure (1st L) competes with Greece's Sokratis Papastathopoulos during a Group C match between Greece and Cote d'Ivoire of 2014 FIFA World Cup at the Estadio Castelao Stadium in Fortaleza, Brazil, June 24, 2014.